A controversial statewide student survey is still on for this spring — but the state has switched its survey vendor. The online survey will take place from April 2 through May 31, under a new plan endorsed by the State Board of Education Wednesday. The student survey is part of Idaho’s long-awaited rewrite of its school accountability framework. That framework includes surveys of students, parents and staff. But as a piece of Idaho’s blueprint to comply with the federal Every Student Succeeds Act, Idaho will use student surveys to help identify low-performing schools. The state will survey students on a variety of topics, such as school safety, learning climate and the relationships between students and teachers. But like the survey itself, the choice of a vendor has proven to be contentious. In December, state superintendent Sherri Ybarra backed away from the plan to use the Panorama Student Survey, after some administrators said they believed the survey was biased. Ybarra recommended switching to AdvancED, a survey vendor that already does some work in Idaho schools. AdvancED also has experience with ESSA compliance. The vendor administered a similar survey in North Dakota in November, as part of that state’s ESSA plan, said Karlynn Laraway, Ybarra’s director of assessment and accountability. It’s unclear whether the switch will affect the state’s bottom line, since it has no contract yet with AdvancED. The price tag for AdvancED’s survey is estimated at less than $20,000, Ybarra spokeswoman Allison Westfall said Wednesday. Previously, Laraway pegged the cost of the Panorama survey at less than $20,000. Ybarra and fellow State Board members voted unanimously to switch vendors. But public comments on the switch were more mixed. The raw numbers. The State Department of Education held a webinar on the topic in January, and gathered feedback from 60 respondents. More than two-thirds of respondents favored the move to AdvancED. Mixed reviews from lawmakers. Three House Education Committee members were split on the options. A ‘weaponized’ survey? The short answer to that question: The SDE has said it will publicly release district- and school-level survey data, and provide more detailed results to schools. But some administrators said they were worried about the release of student survey data — especially from a survey they consider stacked against educators. 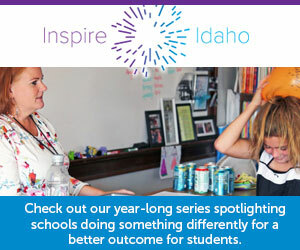 Two singled out Idaho Education News directly. “(The Panorama) survey is a disaster waiting to happen, especially if Idaho Ed News were to get the results of a negatively slanted survey,” said Nezperce district Superintendent Dennis Kachelmier. Madison School District superintendent Geoffrey Thomas said survey results could be “weaponized” and used against educators.